The economy is in the dumps. Unemployment is high, stocks are low, coutries are defaulting on their debt, and people continue to lose faith in governments around the world. It really seems like nothing can go right in this world, doesn’t it? Well, if you’ve managed to survive this long, there’s good news. The good news – the slow economy actually offers some good investment opportunities. 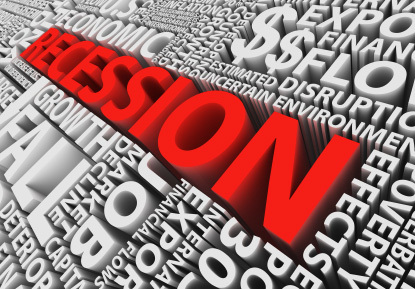 You may not agree, but here are some reasons to embrace the current economic slowdown. You can also use these reasons to help prepare for the next slowdown so that you’ll be in a good position to further capitalize during that time. Let’s start with the first benefit that a slow economy offers. Low interest rates keep borrowing rates low. That means that many people can afford to buy houses because monthly payments are much lower with lower interest rates. Low interest rates help stock investments for two reasons. They make bonds, CDs and savings accounts such low returns that people turn toward the stock market. Also, low interest rates often lead to higher stock multiples and valuations. It is easier for an economy to grow when the costs of transactions are cheaper. Low interest rates increase the velocity of money and help fuel future economic growth. To take advantage of low interest rates, make sure that all of your debt is at the lowest rate possible. Also, you can take advantage of low interest rates by buying a home, stocks, or investment property, which we’ll discuss next. Most economic slowdowns come as a surprise. During these negative surprises, stocks often have moderate to large sell offs. Of course, a slowing economy hurts corporate profit growth and can often justify much lower stock valuations. However, during most recessions, people get overly pessimistic and send stock valuations lower than they should be. These are great times to buy stocks. During the most recent recession, companies have restructured their balance sheet to take advantage of low interest rates. They have added cash to their balance sheets and they have adopted lean corporate structures. All of these factors helped companies remain profitable during a recession and many companies even find themselves in better shape and better position to emerge from an economic slump in an even better condition than before a slowdown. While stock prices may not look low based on such statistics as average P/E, these stats can be misleading. That’s because most P/E’s are based on historical earnings. So, to measure the market’s P/E and say that it is not below average doesn’t really give you the full picture. The full picture is often that the future earnings of companies during recessions is underestimated. That’s because analysts and economists make forecasts based on current trends and statistics. During pessimistic times, these forecasts are almost always lower than actual. And during times of economic bounty, the opposite happens to forecasts – they become too optimistic. So, if you want to take advantage of an economic slowdown, buying stocks is often one way to achieve this. Also, when you compare stocks to other investments, the ultra low interest paid by CDs, banks and bonds make stocks look even more attractive. Especially buying bonds. Bonds offer very low yields when interest rates are low. And if you hold a bond and interest rates rise, the value of your bond will actually fall, that’s because you need to offer a higher yield for someone else to buy it, and higher yields mean lower prices for bonds. With that said, economic slowdowns often offer attractive returns to those that invest in stocks. If you’ve already taken advantage of low interest rates on your debt and are comfortable with your stock investments, the third way to take advantage of the economic slowdown is to invest in real estate. When investing in real estate, most investors are looking to create a sustainable monthly cash flow from their investment. Over the past decade, it has been very difficult to find real estate investments that offer positive cash flow from the start. Positive cash flow is important, because if you buy property that has negative cash flow each month, you will have to keep investing in the property each month until you can raise rents enough to cover your expenses. So in essence, having negative cash flow is a big drain on your finances. However, if you can get the property’s cash flow to the positive side, you can actually add money to your savings each month, as well as use the income from the property to help you buy more properties in the future. With that said, here is why a slow economy has a huge impact on the profitability of buying investment properties. First of all, housing prices typically fall in a recession, but lately, with the financial crisis, housing prices have fallen dramatically. That’s bad for owners but great for future owners. By buying real estate at lower prices your monthly mortgage will be lower and therefore your expenses will be lower. That means that it is now easier to make positive cash flow when you buy income property. The financial crisis also caused millions of foreclosures. Each foreclosed house results in a new renter. That’s because anyone that went through a foreclosure has ruined credit and will not be able to buy a house. They will have to rent. That increases the number of people looking to rent, which increases the demand for rentals. The impact of this means that rent prices have stayed the same or even gone up. And with higher rents comes higher income to those who invest in real estate. So, with higher rents and lower expenses because of lower housing prices, there is just one more factor that makes investing in real estate more attractive – interest rates. The low interest rates discussed above also have a profound effect on investment property. Because mortgage rates are at an all time low, you are able to borrow money to buy real estate at much lower costs. Put this together with the first two reasons and you can now buy income property for less, finance it cheaper, and still make at least as much on rents as before the crisis. All three of these factors add to the profitability of an investment property and all are a result of an economic slowdown and financial crisis. In conclusion, these are our thoughts on how an economic slowdown can have positive ramifications, and these are some ways that you may be able to take advantage of such a slowdown. Have any comments, please let us know below. Previous post: Do You Run Your Household Budget Like the Government?